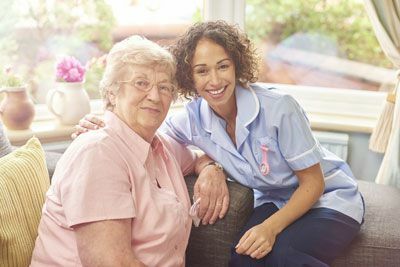 Choosing the right in home care services provider for a loved one is a decision that requires detailed research. We know. We’ve been there. Because we’ve been in your shoes, the Boston senior home care experts at North River Home Care want to make sure you have all the information you need in order to make informed care decisions. Do they have an RN on staff to oversee the home health aides and create the care plan? Do they use telephony software to confirm the aides are on time? What training/experience do the caregivers have? How do they supervise their caregivers? Are the caregivers bonded and covered by workers’ compensation insurance? Are the caregivers employees who are held accountable by the agency, or are they independent contractors who are accountable to no one? Does the agency carry professional liability insurance, workers’ compensation insurance, and manage payroll taxes? Who owns the agency? Is it part of a larger organization? Do they have references from clients? Does the agency have an emergency or after-hours phone number? North River Home Care is a Norwell home care company dedicated to helping seniors and their families make informed decisions throughout their care journey. If you have questions regarding the home care process or are wondering what kind of care your loved one needs, contact us today! We are happy to work with you to ensure you and your loved one are well cared for. Get More Information About Our Cape Cod Home Care Services Today!